For anyone looking for a reputable and quality curved TV with a budget of less than 50K, you should definitely go for the TCL 48 Inch Full HD Smart Digital Curved TV. This TV has made the dream of exceptional TV picture quality a reality as it delivers unparalleled TV experience as it offers a wider field of viewing without compromising on picture and sound quality. Additionally, it comes with several features that will definitely impress you and take your TV viewing experience to the next level. Purchasing the TCL 48 Inch Full HD Smart Digital Curved TV not only adds a modern and refined look to your living room but also helps you maximize your viewing experience. Get value for your money by purchasing this high-quality TV. Improves you TV watching experience as it glues and immerses you into what you are watching. This has an effect of the TV appearing to be around you. Curved screen TV technology have better and improved contrast which gives the TVs better picture quality. Having a curved screen TV in your living room make you modern and cool. as the saying goes, ‘curved is the new flat. The curved screen design is the most outstanding feature of the TCL 48 inch Full HD Smart Digital Curved TV. There are some benefits tied to a curved screen. First, is the fact that a curved screen helps create better viewing angles. Curved displays are also known to produce better-contrasted images; this is mainly because for a curved screen, light focuses more on the center. Additionally, the TV has a thin bezel that capitalizes on the viewing area. The TCL 48 inch Curved TV has a streamlined sound and image system that helps you ‘live the game’; this is through the creation of an ambiance similar to the one in the sports stadium. The TV has developed a software algorithm that modifies sound according to its surroundings. The software algorithm regulates sound so that it is not too high or too low. The optimized sound and image system is so precise that the one viewing the sport is left with a sensation similar to the one he or she would have felt if they were watching the game live from the stadium. Additionally, the TCL 48 inch Full HD Smart Digital Curved TV has screen mirroring features that allow for one to zoom in sections of their screen by the touch of hand. The in-built Netflix features allows one to subscribe to as many movies as they can manage to watch. The features will enable one to view as much as they can afford to, whenever they desire to. Additionally, the TV comes with GoLive streaming app. GoLive is an international online-based service provider that helps you stream favorite movies and TV shows. TCL TVs use LED display technology that produces bright and crisp images with superb contrast. This makes it perfect for sports, watching movies, and gaming. One of the interesting aspects of TCL 48 inch Full HD Smart Digital Curved TV is its sleek profile that creates several options for interior design. When switched on, it dominates the room whether mounted on the wall or left standing on its stand. This TV also has a sharper picture resolution than an average HD TV. This is because it has a resolution of 1080p x1920 where all pixel rows are displayed progressively hence giving amazing picture quality and saving energy. The TCL 48 inch Full HD Smart Digital Curved TV comes with an inbuilt free to air decoder (also known as QAM tuner). You can, therefore, watch more than 30 channels including local broadcast stations from your television even without purchasing a set-top box. Additionally, the TV comes with a one-year warranty that assures you the television is of high-quality and does not have any manufacturing defects. The 48 inch TCL TV is a smart TV. This means it supports internet connectivity and therefore one can stream and watch their favorite shows. It also allows a seamless convergence between the television and your mobile devices. 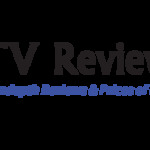 The television in question is also integrated with Roku, an application that allows one stream their favorite shows directly on their televisions. Roku has renowned streaming services such as Netflix, Hulu, Showtime, HBO, YouTube. This model also comes with Go Live App that enables you to watch different free to air channels across the globe through the internet. This TV supports multimedia connectivity as it has ports like HDMI, USB, VGA, video, and cable that support connectivity to different media devices. One can also connect all these devices at once and switch to r preferred device using a remote control.additionally, The TCL 48 inch Curved TV has an inbuilt Bluetooth technology that allows audio connection in a two-way cordless transmission. One can watch their program of choice without necessarily having to distract their family and friends. 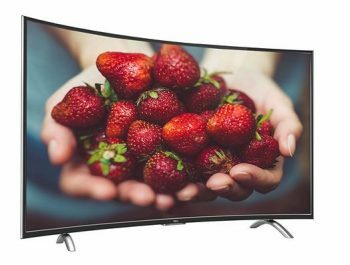 This TCL 48 inch Full HD Smart Digital Curved TV has an nScreen app that allows you to use your phone to control images displayed on your TV screen. Use your TV’s WI-FI to connect your TV to your smartphone. From there you can stream pictures, videos or games to your TV screen.